A Celebration by the RLPO! I had been excited about attending this concert for some time. 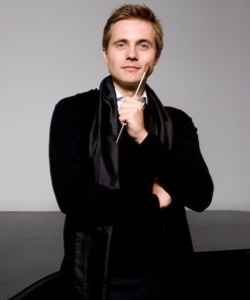 The Royal Liverpool Philharmonic Orchestra and chief conductor Vasily Petrenko had earlier in the week been wowing the audience at the Royal Albert Hall, London in the biannual Classic FM Live. 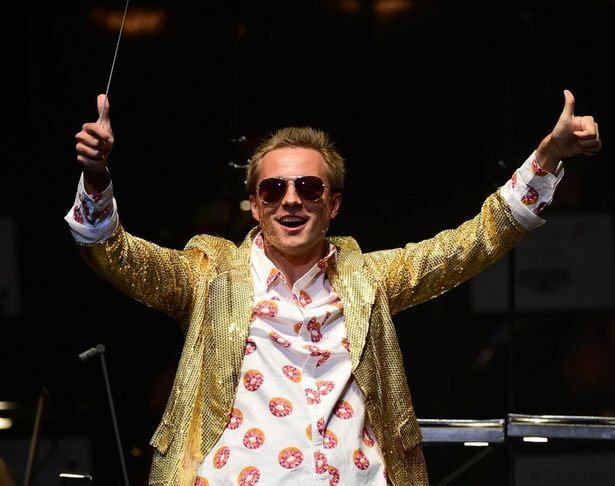 Friday’s programme borrowed heavily from their earlier London performance, though sadly Petrenko did not return to Liverpool with his glittering sequinned jacket which he wore in celebration of Classic FM’s Make Some Noise charity. David and I were in the cheap seats in the upper circle. The auditorium filled up nicely, but was not a full house as Thursday’s performance of the same programme was. I was thankful for this and we enjoyed a unobstructed view of the orchestra! After the National Anthem, the orchestra started the evening as they meant to go on with a Celebration Overture composed by Nigel Hess and commissioned for the Philharmonic’s 175th anniversary! It was a fun opening to the concert though I was more interested in what came next. Ji Liu who had also graced the stage of the Royal Albert Hall with Petrenko and co on Tuesday, came to Liverpool to perform Rachmaninov’s ultimately romantic second Piano Concerto! It is undoubtedly my favourite piano concerto! I love the lyricism of the piece and the second movement (adagio sostenuto) is spine tingly good. 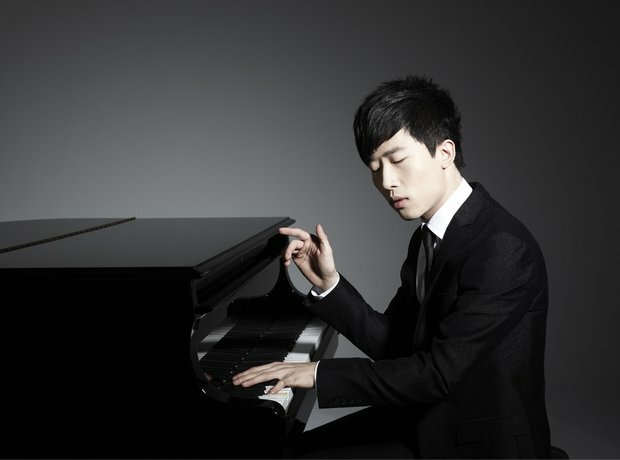 Ji Liu cuts a very slender frame on the stage and at times during the performance the piano seemed too small for him, (if that make’s any sense)! He played the piece deftly and with skill. During the opening movement (moderato), I found that the orchestra seemed to drown out the piano at times. I have noted this earlier in my review of Nobuyuki Tsujii‘s performance of Rachmaninov’s third piano concerto. Perhaps this was why the orchestra was surrounded by padding that adorned the walls? In part to rectify the change in acoustics due to the earlier renovations? Either way, the performance was exceptional. While Ji Liu took the audience into the slow, second movement, made famous by David Lean’s Brief Encounter, I prepared myself to be swept away with romantic feeling. However the reality was that any sentimental musings were disrupted by some unfortunate, who coughed and retched about five minutes into this musical reverie. I imagined the poor stricken soul expiring in his chair. I gripped David’s arm hoping the gentleman would recover or graciously leave the auditorium. He thankfully recovered so we could all enjoy the remaining performance which culminated in Ji Liu coming onto the stage three times to raucous approval and then satisfying the appreciative crowd with his rendition of Skyfall. After the interval, the Philharmonic continued their celebratory mood, with Glinka’s Overture to Ruslan and Ludmila, Vaughan William’s English Folk Song Suite and Verdi’s Aida march and ballet music. The concert was rounded off loudly with the much played 1812 Overture by Tchaikovsky. I would have loved this performance even more, if it were not for the recorded playback of cannons near the cymbal crashing culmination! To me it seemed a little forced. I was content with the wonderful playing of the percussion section whose bells sounded glorious! Overall it was a fun concert to see and a great start to the Philharmonic’s new season. I look forward even more to Petrenko’s Mahler in November when the RLPO perform Mahler’s Sixth Symphony, a symphony very close to my heart! I’m not an expert in classical music. I don’t know much terminology nor can I decipher notation. I listen just because it makes me feel. Some pieces make me feel serene: Allegri’s Miserere, some make me want to dance, Arturo Márquez’s Danzón No. 2, and others just simply take me to a place both spiritually and emotionally that is unparalleled by any other medium! 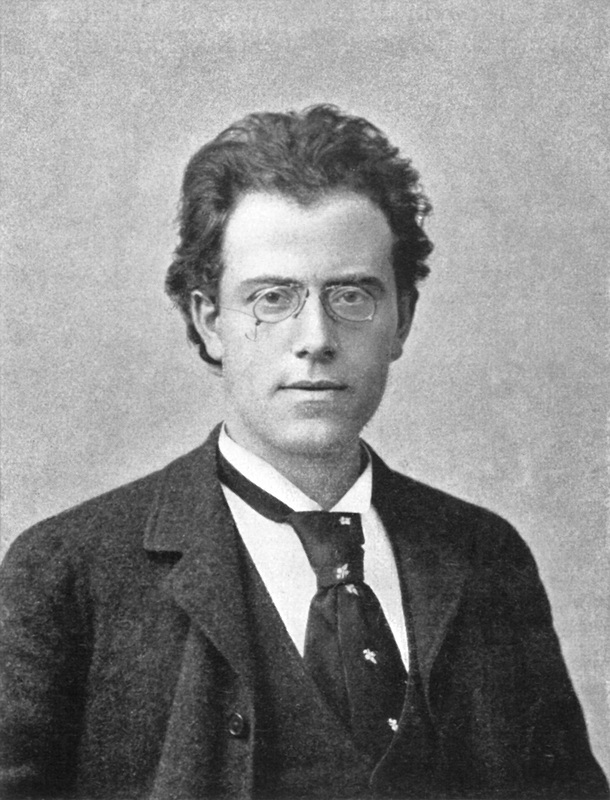 For me, Gustav Mahler’s music does that above any other composer. I may be a bit biased as Mahler was the composer who made me turn away from my ‘pop’ loving years of the 90’s to re-acquaint myself with classical music, but his symphonies especially his later ones from the 5th onwards often have me quaking with a mixture of heightened emotions! There is joy to be heard in Mahler’s work for example his 1st Symphony bristles with youthful energy. Love is to be found in his 3rd Symphony, not only human love but of nature too. His 9th Symphony is filled with heavy pathos and heartfelt resignation but it is not done in a depressive way, it’s more of an enlightened way, which enables deep soul searching. And then there is the fear and tragedy that punctuates his 6th Symphony and resonates so powerfully in his 2nd! It is Mahler’s 2nd Symphony, entitled the Resurrection, that I now turn my attention to. The Royal Liverpool Philharmonic Orchestra performed the Resurrection twice this April, on Wednesday 29th and again on Thursday 30th. I booked tickets for the Wednesday performance. It was almost a full house! We were in the ‘cheap seats’ up in the gallery but we had a perfect view of the brightly illuminated orchestra. I read the programme notes before the concert and Stephen Johnson mentioned that in the early performances of Mahler’s first three symphonies, Mahler gave detailed accounts of each movement and what ’emotions they aroused.’ However he was not entirely satisfied with having to tell the audience what to feel, what he meant by his music. Mahler said, ‘In my conception of the work I was in no way concerned with the detailed setting forth of an event, but much rather of a feeling.’ This remark resonated with me and on the night of the concert the feelings became manifest sending goose flesh and shivers all over my body. 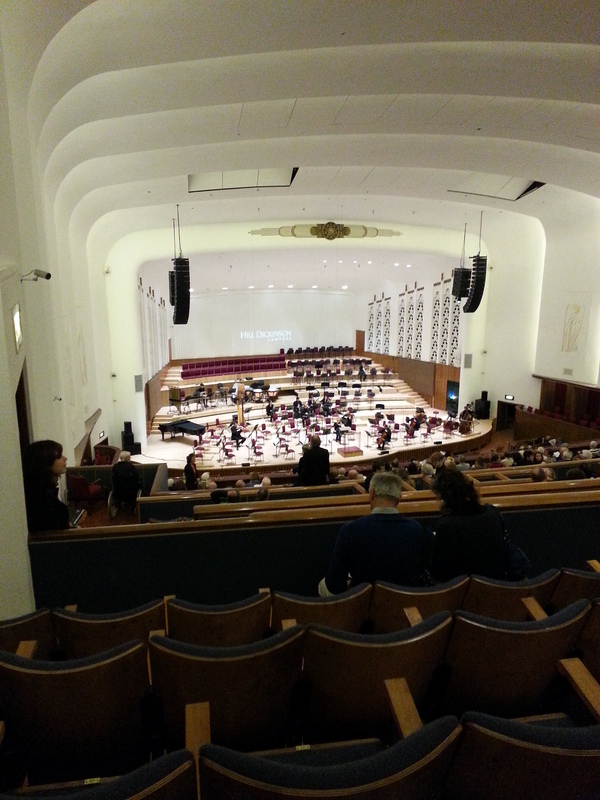 In fact the performance of the Liverpool Philharmonic conducted by Sir Andrew Davis reverberated deep within my body and I felt the effects long after I had left the hall and stood shivering outside awaiting my bus! Even David who is not a Mahler fan said he felt ‘shivers’. 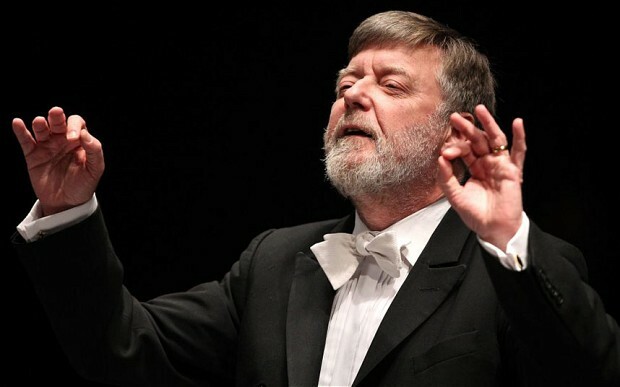 Sir Andrew Davis is not a conductor I have seen perform before. I know of his reputation but have not seen him conduct live. He is a conductor of much energy, jumping and jigging on the podium with his long tail coat flapping. He did not carry a baton but commanded the orchestra with the shape of his expressive hands. You could see that he really had fun with the orchestra. His years of experience showed. I was surprised to read that Davis was 71 years old he really moved about with the energy of a younger man, I couldn’t keep my eyes off him! Alfred Hickling reporting for the Guardian remarked at the ‘frenzied’ attack Davis gave Mahler’s second. I found that the pace was ideal, though brisk it sounded better than some languishing performances of the symphony. Hickling commented mainly on Davis’s appointment as Conductor Emeritus. On the night he was presented with the award and made a speech saying he was ‘deeply touched and honoured’ by the gift and relished ‘the prospect of making music regularly,’ in Liverpool, a ‘wonderfully vibrant city, of which the Orchestra is the finest jewel.’ I’d have to agree. While Davis was making this speech and the orchestra and chorus performed Mendelssohn’s Lauda Sion Op.73 I felt overwhelming pride and respect for the Liverpool Philharmonic, and with this being their 175th year anniversary there is much to celebrate! My most favourite part of the Resurrection Symphony (apart from Urlicht) is about 10 minutes into the finale. It is the orchestral version of the hymn like chorale that will finish the symphony. When I listen to this part that steadily builds up into a triumphant crash of percussion interlaced with strings and trumpeting brass I always imagine the golden rays of a rising sun stretching its light over a slumbering countryside. Sheep rear their heads from a night of rest and a horse drawn carriage trundles along a narrow country lane. Under Davis’s command the Liverpool Philharmonic played this passage to awe-inspiring heights, some would call it apotheosis, (no recordings I’ve heard come close to it!) The sound filled the entire auditorium! My heart swelled with emotion and I have never heard the orchestra sound so loud, so passionate, so emotional, I indeed had a tear in my eye! The only jip I had was with the audience, of hissing coke bottles being opened, mobile phones tinkling and the guy behind me humming along to the choir! But none could detract from the performance which culminated in the most rousing finale I’d ever heard! What would Mahler have thought? If he had heard the mobile phone he would have undoubtedly stopped the performance, like he did when someone had a coughing fit at one of his performances. Though undoubtedly what Mahler would have thought is of little consequence. Personally, I came away from the hall feeling satisfied. A young couple in front of us talked about how religious the symphony was. I have a feeling Mahler’s Resurrection is more emotional than religious, whether it is a ‘spiritual religious’ or a ‘spiritual emotional’ is another discussion. What is for certain is that there is no ‘judgement’ in Mahler’s 2nd Symphony. Stephen Johnson in his programme notes says that, ‘the 2nd Symphony marks a huge progression from darkness and death through to light and affirmation of life and love.’ There ‘is no judgement…There is no punishment… an overwhelming love illuminates our being. We know and are.’ It can only be a good thing to be all knowing at the end of it all. The end of all things. Not a tear fell while I listened to the Royal Liverpool Philharmonic under the guidance of Vasily Petrenko as they performed for the first time in the Philharmonic’s history the entire 10th Symphony by Gustav Mahler. There were moments when I was overcome with emotion but I managed to hold it together and not embarrass myself or David. 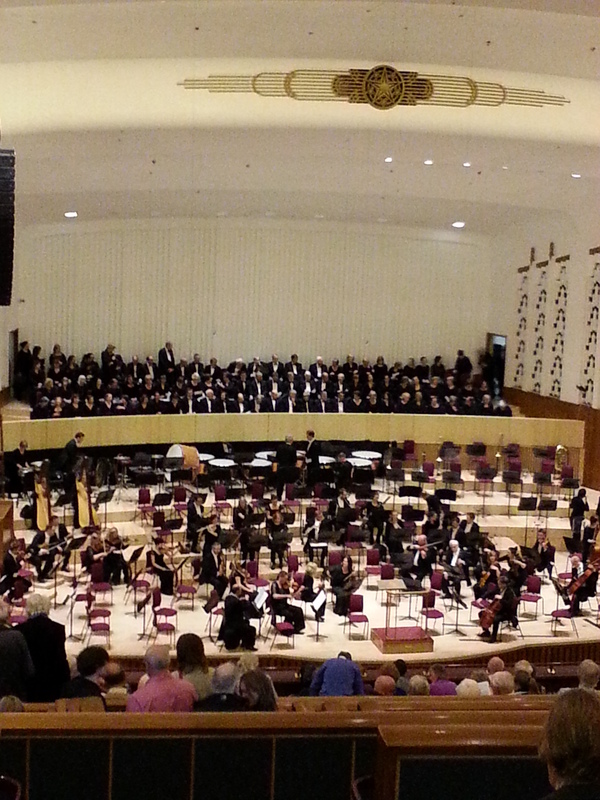 I was saddened to see that on both performances of Mahler’s 10th, the hall wasn’t full to capacity! I wonder what made the organisers put on two shows rather than one? I wish they had done the same for Mahler’s 8th last year, then I may not have been stuck at the back of the Anglican Cathedral and upsettingly witness someone in the audience keel over! However, as there were no heads in front of me, I had a great view of the orchestra and of Vasily in this special performance. I listened to the broadcast of the first show on BBC Radio Three on Thursday and I, with a nice glass of Pinot Grigio succumbed to the wonderful orchestration of Mahler’s unfinished symphony, completed by Deryck Cooke. The Philharmonic’s command of the Adagio (1st movement) was simply breath-taking. I believe I had not heard it played with so much depth of emotion before. The sound was so clear even streaming through broadband! And so for Saturday’s performance. David and I, wrapped up from the chilling wind that brought with it Spring snow the day before, made our way to the Philharmonic Hall. We gingerly watched for ice underfoot as we caught the 86 bus and was transported smoothly for our date with Mahler! I have been attending the Philharmonic in Liverpool for nearly 20 years now and have listened to Mahler being performed countless times. It was my first on hearing his 10th being played though. With excited butterflies in my tummy, the lights in the auditorium fell and the brilliant (almost too bright) spotlight lit up the orchestra as Vasily walked on stage with baton in hand. There was a collected intake of breath from the audience as the first bars of the Adagio were played. I love watching the sections of an orchestra as they come together and it’s only with Mahler symphonies that the percussion section seem to entertain most of all. David said he liked the soaring strings in the romantic Adagio the best. I noticed how Vasily would raise his hands to the heavens almost as if beseeching Mahler’s spirit to come amongst us as his music drifted into the ether. Norman Lebrecht in his blog post describes a conductor approaching a performance of Mahler’s 10th Symphony as ‘the maestro, for that hour-plus,’ has ‘to be Mahler.’ Therefore perhaps Vasily was indeed channelling the spirit of Mahler? During the two Scherzo’s Vasily seemed to take on the persona of a demented fiend, jerking about like a man possessed. He would raise his fist to the orchestra who in turn would challenge him in their playful audacity. As the drum of fate boomed around the auditorium the conductor seemed to shiver as if in fear. The only comic relief to be had was during the ländler where the orchestra played light-heartedly and Vasily shook his booty on the podium! Then the soul tormenting Finale came. It’s a piece of music that usually renders me in tears. Thankfully this evening it wasn’t the case, though the screeching strings and then the soft sighing of the woodwind tugged at the heart. Catherine Jones of the Liverpool Echo in her review said there were some tonality issues, but none that could detract from the poignancy of the music being performed. Vasily seemed to have tightened up the brass section since the first performance and they played with unparalleled confidence. As the final note of Mahler’s 10th faded, Vasily paused while the rawness of the performance was absorbed by the audience. The young conductor fell back upon the rail of his podium as if overcome with emotion and sheer exhaustion of the piece. With baton lowered he invited the audience to show their appreciation, a few rose to their feet. Vasily came onto the podium twice more to accept praise where it was due. He also seemed subdued, placing his hand to his heart in gratitude. The applause was understated, perhaps due to the fact that Mahler’s 10th is a symphony largely forgotten or maybe the powerful emotions performed for over an hour subdued the audience? Either way they milled out of the hall silently, thoughtfully. I really wish that the Royal Liverpool Philharmonic would release a recording of their rendition of Mahler’s 10th Symphony. I believe it was one of the best, if not the best I have heard it performed! Norman Lebrecht also mentioned in his blog that Vasily would be repeating his version of Mahler’s 10th ‘next year with the Philharmonia in London and the radio orchestra in Berlin,’ something to look forward to then.